April 2019: Meet with PTX tech at HANNOVER INDUSTRIAL FAIR and have a look at our labs. Our optical sensor 4D MMS recognizes objects in full 3D (no stereoscopic technology!). And we do it under varying lighting conditions. We make optical sensors robust. March 2019 - Partnering: PTX signed a cooperation with Oxford AI Lab to strengen the implementation of Artificial Intelligence in Vision Systems. Winner of the Jiaxing Competition. We got the second prize in this international competition of tech startups. 2018, we got the third prize of the Guangzhou Startup Competition. We appreciate your passion for tech innovations and thank you for being part of great events about IIot and future technologies. May 2018: PTX tech presents 4D MMS its optical sensor in combination with a tactile sensor at SMART Automation Fair in Vienna. September 2017: PTX tech - Winner of the Jiaxing Competition. We are happy and proud to get prize no. 2 in this international competition of tech startups. Many thanks to China - to Shanghai, Nanjing, Lishui, Jashin and especially to Jiaxing. We appreciate your passion for tech innovations and thank you for being part of great events about Iot and future technologies. Symposium Autonome Systeme: Wie intelligente Maschinen das Arbeiten und Produzieren verändern. 12 Juni 2017 in Berlin. 12 bis 18 Uhr. Deep Tech Award: PTX tech is the winner of the Deep Tech Award 2016 and got the first prize. Many thanks. To all the members of the jury, from industry to universities and venture capital. And to all our team members who developed 4D MMS, our 3D vision system to detect objects and environments in 3D and with time of flight. PTX tech @ Wolves Summit 2016. Highlight of the summit: Speech of Tim DRAPER. electronica 2016: PTX tech presents together with Analog Devices its vision sensor 4D MMS on November 10th.  AACT!2016: PTX presents 4D MMS automotive – our solution for connected driving. In Berlin on September 19-20, 2016. Industrial automation: We present our vision system for man-machine interaction at AUTOMATICA in June 2016. Please visit our common booth with Jonas & Redmann. Hall A6, booth 335.